It's that time again for another tasty Early Bird Review from my friends at Gooseberry Patch. This months cookbook review is for "Rush Hour Recipes". This cookbook is for moms on the go and for cooks that don't have a whole lot of time to get dinner on the table. Rush Hour Recipes has over 230 budget- friendly meals your entire family will love. I'm a busy mom just like you so this cookbook was made for moms like us. Whether you're a working mom, stay at home, or just someone who's always on the go. We all struggle with the same thing, getting a quick tasty meal on the table. Sometimes the same old rotation meals can get a bit boring. Most of the dishes in Rush Hour recipes can be prepared in 30 minutes or less. Plus they don't use any fancy schmancy ingredients. Just familiar pantry staples that everyone has on hand. Dinner time just got so much easier my friends. My first recipe to test was for Lemonade Chicken on page 90. This recipe comes from Kathy Werner of Minneola, FL. Kathy says that everyone loves this chicken dish. Her girls are all grown up now, but this was one of the first recipes she gave them. This chicken dish is sweet and tangy all rolled into one. It gets it's lemon flavor from lemonade concentrate and it's sweetness from brown sugar and ketchup. We really enjoyed this dish. Next time I want to cut my chicken pieces smaller so it is more like the lemon chicken you find in Chinese restaurants. The next recipe of choice was a dessert of course. I was intrigued by the Better than Brownies from page 215. Goodness how can you go wrong with a chocolate cake mix, cook and serve chocolate pudding,chocolate chips and nuts!!! That is a deadly combination my friends. When the brownies were all cooked up it was more like a brownie cake to me. Moist and delicious the chocolate chips and nuts really took this dessert over the top. My family polished off these chocolaty brownies in 2 days. Rush Hour Recipes has 6 delicious chapters to choose from. Slow Cookers and Make a Meal Sides was my absolute two favorite chapters. I have so many pages bookmarked for future use. Here is a sample of a few that I have saved. I don't want to forget to mention all the beautiful quotes and tips each recipe page has. I think that is what makes all the Gooseberry Patch Cookbooks so special. There's always a new tip or trick that I learn from every cookbook. Still not sure about Rush Hour Recipes? Click on the video above and take a virtual tour of GP latest cookbook with Vickie and Jo Ann. The deep dish skillet pizza featured in the video looks really good and so easy to make. The Better Than Brownie recipe is also mentioned in the video. I guess it was a favorite of theirs too. This Giveaway Has Ended. Congrats to Stacey Henning. I wanted to let everyone know that Gooseberry Patch has been kind enough to send me an additional copy to share with one of my readers. Thank you Gooseberry Patch! 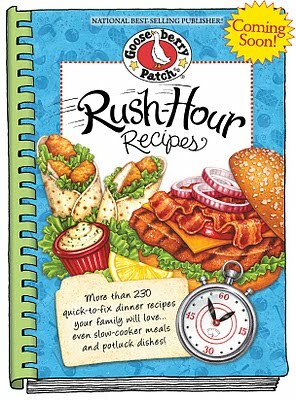 If you can't wait to get your hands on a copy of Rush Hour Recipes you don't have to. Right now you can order a copy from Amazon Books for $10.71. Which just so happens to be an awesome price. Would you like to get your hands on a free copy of this fabulous cookbook? Well you can! Just follow the rules below to find out how you can win a copy of Rush Hour Recipes. Just leave a comment on this post answering this question. What is your biggest dilemma when it comes to dinner time? (mandatory entry) For me it's trying not to make the same old dishes. I always have my favorite rotation meals, but they can get old. 1. Become a Fan of Gooseberry Patch on Face book. When you have done that, return to this post and leave a separate comment letting me know that you are a fan. Last day to enter this giveaway will be at Midnight on January 16Th, 2011 (CST). I will pick a random winner using random.org and announce the winner on this blog, face book and twitter. Good Luck everyone. Contest open to U.S & Canadian Residents only due to shipping charges. Winner had 48 hours to reply to claim their prize or a new winner will be chosen. If you leave an anonymous comment please include your email address in your comment. That way I can contact you in the event that you're the winner. Believe me when I tell you an anonymous reader almost always wins but never actually gets chosen for lack of leaving contact information. Disclosure: Gooseberry Patch provided me with a copy of " Rush Hour Recipes" for the purpose of this review. They also provided me with an additional copy to use in a reader giveaway. With that being said the opinions & comments stated above are entirely my own. I would like to thank Gooseberry Patch for choosing Mommy's Kitchen as a "Early Bird Reviewer" . Dredge chicken in flour mixed with salt. In a skillet over medium heat , cook chicken in oil until golden brown; drain. Transfer chicken to a slow cooker. mix lemonade, brown sugar, ketchup and vinegar; pour over chicken. I added about 1 tablespoon soy sauce to the mixture. Cover and cook on low setting for 6-8 hours, or on high for 3-4 hours. Remove chicken to a platter; keep warm. Whisk cornstarch into cold water; add to juices in slow cooker. Cover and cook on high setting to desired sauce consistency, about 15 minutes. Serve chicken with sauce. Prepare dry pudding with milk according to package directions. ; Cook until slightly thickened. Remove from heat. Stir in dry cake mix. Spread batter in a greased 13 x 9 baking pan. ; sprinkle with chocolate chips and nuts. Bake at 350 degrees for 30 minutes. Cool; cut into squares. Makes about 2 dozen. My biggest dilemma is coming up with new quick ideas. My biggest dilemma is coming up with meals that everyone will eat. I feel like when I get excited about a meal, at least someone will not like a component of the meal. My biggest dilemma (and not sure why I haven't caught on yet) is making sure I start dinner in time. I hate having dinner past 6pm. A lot of times we've been eating at 7pm and I really don't like that. 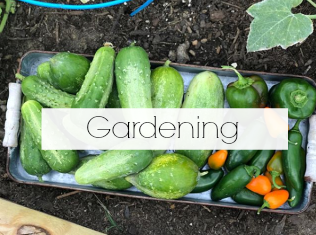 I liked Gooseberry Patch on Facebook. My biggest dilemma is thinking far enough ahead to have something defrosted from the freezer. My biggest dilemma ? Trying to get my food made and photographed and to the table without it getting cold! My biggest issue is cooking dinner without my 2 month old screaming. I also struggle to plan meals and stick to it. My dilemma is purely time with something healthy. 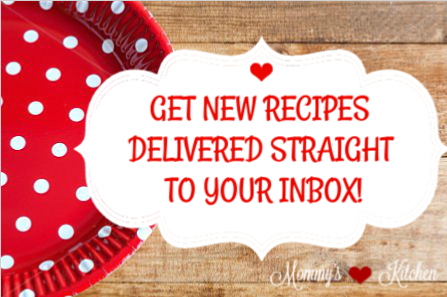 I am a new follower on email & would love a new cookbook! Thanks! My biggest dilemma when it comes to dinner time is finding something quick and easy that everybody likes! It's either chicken or something with hamburger meat. Need some variety that cooks quickly! My biggest dilemma is making sure that what I put in the crock pot will be done by dinner time and that everyone will love it. I enjoy ready all your recipes. They are addicting. My biggest dilemma is prepping it early enough in the day to have it done by five! I have trouble getting everything done together. My biggest dilemma is coming in after working in food service all day and finding new fast recipes for my own family. I want to make something new and not the same old thing. It just needs to be quick and delicious. Great review! I think my biggest challenge is thinking ahead...thawing meat from the freezer...making sure I have all the ingredients, etc. for what I THINK I'm going to make. I get so busy and rush out the door to work and am not prepared for dinner, then I need to make something different. I like Gooseberry Patch at FB. I have a hard time coming up with side dishes without doing the same old tired roasted potatoes. I can usually come up with a main dish but don't always have the time or energy for sides. I joined the Gooseberry Patch Circle Of Friends.!! I feel the same, like I'm always making the same old thing. I guess getting more tried and true recipes would be an answer. I have the hardest time trying to keep meals healthy but tasty so everyone will eat healthy. I follow your blog via being an e-mail subscriber so I don't miss a post. I have a hard time figuring out what to fix fast because I forgot to take something out of the freezer. I haven't tried any of the recipes yet, but the Lemonade Chicken looks wonderful. I have trouble coming up w/main dishes revolving around meat (my husband's request -- no vegetarian or turkey-based meals) on a limited budget. I would really like to win a copy of this book. My biggest problem is coming up with new quick & easy ideas. Sometimes I feel we are having the same things all the time. I belong to Gooseberry Patch's Circle of Friends. I am a fan of Mommy's Ktchen on facebook. I shared this giveaway post on my facebook page (Rhonda Keely Darbro). My biggest dilema is to remember to take the stuff out of the freezer for the recipe the next day. My beggest problem is variety - we tend to end up eating the same things over and over - would like to incorporate new things but family tends to prefer their favorites. My dilemma is a recipe that doesn't take to long to prepare and is full flavored...not just another bland dish! My biggest dilemma is doing quick and easy and not doing the same recipes over and over. My biggest dilemma is finding new recipes, I tend to make the same meals over and over. I also need to find great recipes that are also quick and easy. I joined Circle of Friends! What is your biggest dilemma when it comes to dinner time? Finding a meal that ALL five of us will enjoy! Face it, I like to don my "mom's a hero" cape after dinner rather then before! My biggest dilema is not cooking the same thing all the time. Sometimes I feel as if I am in a rut and cook the same ole stuff!! One of my goals this year is to try and make a menue each week! I already like Gooseberry Patch on facebook. I struggle because by the time I get home from a long day at work, I don't feel like spending a bunch of time in the kitchen to cook dinner. I am short on time! I love gooseberry patch cookbooks!! I am short on time. I love gooseberry patch cookbooks! I have an issue when just deciding what to have. It seems that we have fallen into a rut and I want to get out of it. Also some are not as apt to try new things as others are. I joined the circle of friends. I don't plan ahead or use my menu planner. 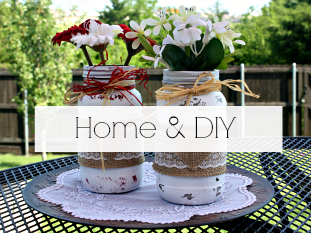 I "liked" Gooseberry Patch on Facebook! It would have to be planning and time. If I plan I usually have the time to cook but if I don't we get stuck. I am a GBP fan on facebook!! Thank you for this opportunity to win a GBP "perfect for me" cookbook!! I have joined GBP Circle of Friends!! Thank you for this opportunity to win a GBP "perfect for me" cookbook!! My biggest dilemma when it comes to dinner time is TIME! I am a homeschool mom of four, so having enough time to cook what I want to cook is my challenge. Thank you for this opportunity to win a GBP "perfect for me" cookbook!! I posted a tweet announcing your giveaway!! Thank you for this opportunity to win a GBP "perfect for me" cookbook!! My hardest thing when making dinner, is something all my family will enjoy. While sticking to a really tight budget. Coming up with quick and easy recipes that do not call for endless ingredients and do not cost a fortune to prepare. I'm already a fan of Mommy's Kitchen on Facebook! My biggest dilemma is trying to actually get dinner made with a 2 year old that wants to play! I also have issues coming up with new and quick ideas. My status on Facebook says that you have a giveaway for a Gooseberry Patch Cookbook (& I put your link so people can just click on it!). My biggest dilemma is meal planning for a week or two. I tend to wait until a few hours before dinner to decide what we're having which makes for hectic afternoons. Biggest dilemma for me is meal planning and sticking to it. I work full time and have three boys two of which are incredibly picky about different things. Hubby and other kid will eat anything. Most recent recipe of yours I made were the sliders and EVERYONE LOVED them. Thanks so much!!! 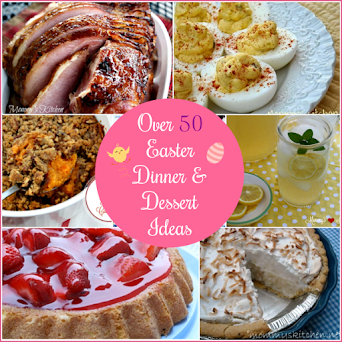 My biggest dinnertime dilemma is not only choosing a menu, but choosing something that everyone will eat! One member of our household is extemely picky! Biggest dilemma? Clean up. I love to cook but hate the clean up. Getting everything ready at the same time. I love your blog! My biggest dinner time dilemma is trying to find a meal that everyone likes. I see so many yummy meals that I want to try and I have to pass because we always have the issue of someone not liking something. I also have a child that is a very picky eater. 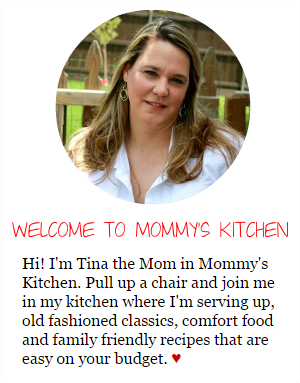 Thanks Mommy's Kitchen I love your blog and I follow it every day. I love the new cookbook. I hope i get it. My biggest dilemma is variety. My biggest problem is coming up with new quick & easy ideas. At the end of the day you kind of want to get dinner over and out of the way but still have enjoyed it ! My biggest dilemma at dinner is what can I serve fast, with what I already have, that is not just the same old, same old thing?! Help!!! Trying to fix meals that everyone will eat. I don't like being a short order cook. My biggest dilemma when it comes to dinner time is thinking of something to make. Your blog has been a big hit because of your monthly menu. It gives me lots of ideas of new dishes to try. Another dilemma I face is I have a brand new baby who likes to be held a dinner time. Quick meals are a life saver when you have a new baby. I hope I win! My biggest dilemma is finding something the two picky eaters here will eat. It is seldom they are happy with the same dish. I have hard time making sure dinner gets done on time. Thanks for the chance to enter. I am a part of Gooseberry Patch's Circle of Friends. Thanks for the chance to enter. My dilemma is getting something fixed in time before I have to head out to my gym class and keeping it healthy and affordable. I'm a fan of Mommy's kitchen! My biggest dilemma is how to make my husband's favorites into different twists since he asks for the same three things everytime I ask what he wants!! (Spaghetti, creamy crock pot chicken, tacos). My biggest dilemma is getting dinner ready quickly because my daughter is starving when she gets home. If dinner is not ready, than she will start snacking...and that's bad. My biggest dilemma is not wanting to do it! I really don't like to cook, been doing it to long and it's become ho hum. I do like cookbooks, go figure! My biggest dilemma is finding things to cook that doesn't require a lot of standing. I have a bad back and standing causes lots of pain. I use a stool when I can and try to do 1 pot dishes, crock pot is the best, or a casserole in the oven. I do not have a facebook but I am a follower through my blog. Thanks for the chance of winning!!! My issue is being organized. Like you, I try really hard not to fall into food ruts!!!! Thanks for the opportunity to add to my GP collection! I am already a GP Facebook Fan. Already a Circle of Friends member. It's always a problem when I forget to thaw the meat! My biggest delimma at dinner time is when to start cooking.... With my hubby traveling to work, daughter involved in school and church activities...we are all coming home at different times. I "Like" Gooseberry Patch on FB! For me, it is preparing something that everyone will be able to tolerate. We have a few with sensitive stomachs, so it makes it tricky when it comes to mealtime. My biggest challenge is making something that is quick, easy and liked by all. I have 2 wonderful eaters and one picky, picky guy. I love recipes that everyone will eat without complaints. My biggest dilemma is not cooking the same type of meal every night....example...all pasta dishes, all chicken dishes, all beef dishes. Trying to come up with something different to cook each and every night!!!!!!!!!!!!!!! My biggest dilemma is cooking something everyone in my family will like. My Biggest dilema is not planning ahead, than coming home after work and trying to figure out what to have... with 4 hunger teenagers looking over my shoulder! My biggest dilemma is time...I work 10 1/2 hours a day plus 1 hour drive. I love to cook but becoming extremely challenging during the week! I'm a fan of Mommy's Kitchen on FB! I'm a fan of Gooseberry Patch! My biggest delimma is planning ahead. The second delimma is being in rut as far as my menus go. I think the hardest part of planning a meal is makeing it good for you and staying within a budget! 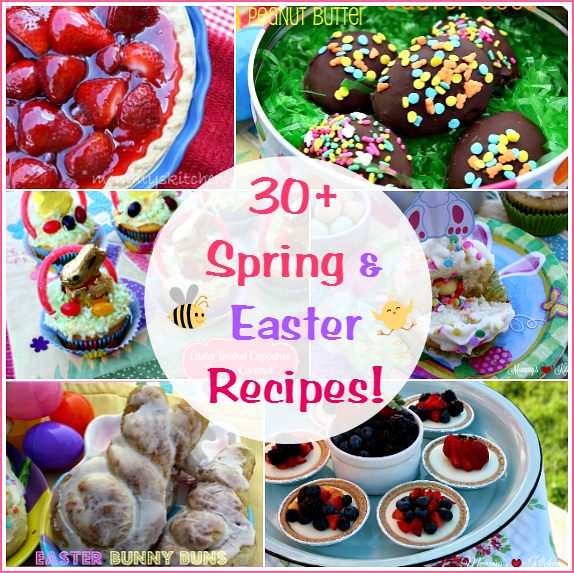 My biggest dilemma is finding recipes that both of my kids will like. Remembering to thaw meat out.... always my biggest issue! I have joined Gooseberry's Circle of Friends. It is so hard to find things to cook that doesn't require a lot of standing. I have COPD and a bad back and standing causes excruciating pain. It's hard to use a stool. Crock potting is the best, or making a casserole. 2. I am a member of the Circle of Friends... of course! I just became a fan of Mommy's Kitchen on Facebook. 5. I thought I was already a follower but I guess not. Woohoo one bonus entry for me! 6. OMG I think that is my very first tweet! I don't know how you can see it though. My username is @chaney79 if that helps! Can't wait to try the lemonade chicken. Would love to win this cookbook. Finding a new recipe at the same time as having those particular ingredients on hand! I 'like' GP on FB. I'm a part of the GP Circle of Friends. I would have to say that my biggest dilemma is that I spend so much time searching for new recipes to try that by weeks end, I have nothing figured out and always have to go back to my tried and true recipe plan...which gets boring! I also "liked" gooseberry patch on FB! 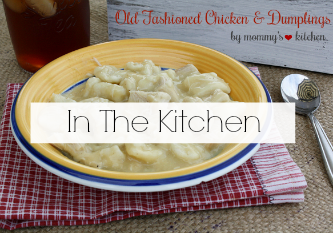 I am also a fan of Mommy's Kitchen on Facebook! I just joined Circle of Friends...thanks for that! I Love Gooseberry Patch. My biggest dinner challenge is finding creative ways to cook on a small budget. OH - And making that turn into something that all 5 members of my family will enjoy! My biggest challenge is figuring out what I want to fix. My biggest dilemma is getting out of a rut and always making the same things for dinner. I also want to cook very healthy for my family but feel sometimes like it's a lot to do finding new recipes and shopping time! I have joined Gooseberry Patch's Circle of Friends. I usually have a hard time getting a vegetable in there without just opening up a can. My biggest dilemma, (now that I have a job working out of the home again)is recipes that are quick or have no more than 5 ingredients. So this cookbook sounds like the one I need. Am gonna so make the Better Than Brownies. Thanks for entering me in the giveaway. Already a fan of Gooseberry Patch on Facebook.